‘Arvind Brands’ partners with Bangalore based Sales Tech Start-up ‘Applicate’ to empower its sales team with the next generation sales-tech. 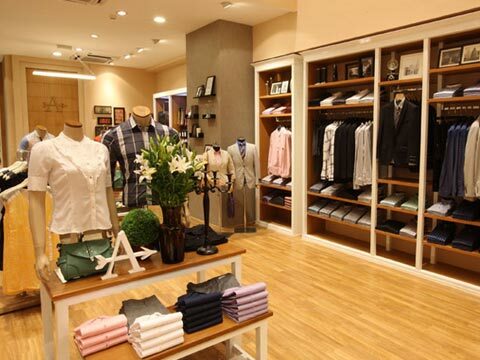 This partnership for US Polo, Hanse, Arrow and other brands of Arvind, consolidates Applicate’s presence in Fashion and Life Style industry where it is already working with Peter England, Allen Solley, Van Heusen, Louis Philippe, Blackberrys, and Jockey. According to Ranjeet Kumar, CEO and Co-Founder of Applicate, “we are leading this generational shift in technology to create first of its kind Sales Tech Platform in the world. As the technology paradigm is getting redefined with AI and world is moving from Mobile First to AI First, we are the first company to create a SFA platform powered with AI”. The AI powered SFA platform ‘ApplicateAI’ created by Applicate does all the logical and repeatable tasks in Sales, Marketingand after sales support with ‘Sales BOT’ and [brand] BOT. According to Madhusudan, CTO and Co-Founder Applicate, our SFA platform ‘ApplicateAI’ is built with a vision of creating an intelligent machine which will reduce human inefficiencies in Sales and would empower teams to increase their productivity and sales in way never thought of before”. With a clear focus on driving revenue as against automating transactions the ‘Sales-Tech platform’ created by Applicate is already being used by some of the top global and Indian brands like Kelloggs, Britannia, ITC, Whirlpool, Dulux, Grohe, American Standard, Essilor, Organic India, Peter England, Allen Solley, Van Heusen and others. “ApplicateAI gives a completely new dimension to the Sales Force Automation by making the automation intelligent enough to drive revenue and increase sales rather than just automating transactions. The best part of ‘ApplicacteAI’ is that it can get integrated with any data base or any existing automation system used by the companies. This would power their existing automation system with AI without discarding their investment made on automation over years, says Ranjeet Kumar. Applicate is betting on AI to transform the Sales Tech domain in way which would define the future of sales. The company has been working on this project for more than 12 months with a dedicated team and had developed in-house capabilities. Applicate is planning to launch first if its kind Sales BOT ‘Sellina’ – First AI Sales Expert by the end of July which is at a beta stage right now with some of its existing customers.